Whether you are a real estate agent, a developer or in property management, a brochure can be a powerful marketing tool for your business, if it is done properly. We are surrounded with all kinds of brochures. It could be a direct mail piece that came through the mail showcasing a house being sold in the neighborhood. Maybe it is a brochure that is advertising a new luxury condo tower living or just illustrating the capabilities and services of a realtor agency. They are all vying for our attention. With the right planning, concepting, good design principles and execution we can stand out from this crowd. Start your project with building a foundation, researching, planning and a creating a “story.” Ask lots of questions? What is the overall purpose of the project? Who is the target audience? What message would like your brochure to convey? What goal are you trying to achieve with this brochure? Who is your competition and what makes your different from the competition? If someone just walked away with the brochure, what key message, ideas, and facts would they come up with. What do you want people to do as the result of the brochure. It’s also import to know how the brochure will be used. Is it being handed out or mailed? Now that we have a foundation, what is the best way to tell this story? Come up with a size. There are many printing standard brochure sizes from Half Fold, Trifold (six panels), Z Fold (six panels), Roll Fold (8 panels), Accordion Fold, Gate Fold and Double Gate Fold. Bigger brochure sizes have more of an impact. The brochure could have an usual size or fold. Make a brochure that is a hybrid. It doubles as poster, a promotional piece, a catalog, and an invitation or anything else you want it to be. For example, you can design a brochure that when it is unfolded, it will turn into a large poster. You can put some points of interest about the town you are selling property in, or create a calendar on the back of poster. By turning it into a poster, you have changed it to something that will be held on much longer. It has become a conversation piece. At this point it is a good time to talk to a printer about cost. The printer will give you an idea if the size you have come up with is too expensive to produce or not? The cover of the brochure must be visually appealing, attractive, classy and time-less, but at the same time simple. It should have movement. By movement it is meant that the design elements on the cover moves the viewers eyes around the page. This movement makes the cover more dynamic and interesting. You have 5 to 10 seconds to grab somebody’s attention. Put the most important message on the cover of the brochure. The cover should garner enough interest to the reader that he or she will go through the rest of the brochure. If your company has an existing branding guidelines, follow the guidelines and use the colors and fonts of the branding guidelines. Your brochure is a part of your brand. Have your company logo on the cover of the brochure. The brochure should complement or match the colors of your logo. Do not choose colors on personal preferences, or because you think it is pretty. Colors evoke feelings and emotions, and help build your potential customer’s first impressions. Come up with a catchy or emotional headline. Avoid putting a picture of yourself, and do not give the whole story away on the cover of the brochure. Once the brochure is opened up bring the concept or the theme of the cover to the inside. Again, there should be movement between the text, photos and any other design elements on the page so that the viewers eyes move around the page. Keep a balance between text and photos. Avoid cluttering your brochure with tons of text and graphics just because you have the space. Leave some white space. White space refers to any space in the design that does not have photos, texts and any design elements. This helps the reader not to get overwhelmed, and keeps their eyes from getting fatigued. Put no more than four sentences in a paragraph and keep the sentences short and to the point. Give information that is necessary and useful. Make sure there is a clear hierarchy of what is important first, second and third on the pages. Try not to use no more than 3 or 2 different fonts in the brochure. Great photography is an important aspect of any real estate brochure. Hire a professional photographer to shoot the property. An experienced photographer will get you great results. Plan the shoot with the photographer head of time, so there are no surprises on the day of the shoot. If there is no budget for photography, be your own photographer. Make sure your digital camera is at the highest resolution and you have good lighting. Any photographs used must be at least 300 dpi (dots per inch). Low resolution images look blurry and unprofessional when printed. There is a common mistake that happens a lot when people do their own photography. Lets say we are shooting the exterior of a house facing the street. Instead of shooting it at angle, it is shot straight on. The angle will give it more depth, dimension, and perspective. There are also lots of inexpensive stock photography companies available online like istockphoto.com that can provide other subject matter photos without needing to do a photo shoot. Once we have our design down, it is time to get it printed. Again, this a good time to talk to you printer and show your design to ensure there are no problems encountered. Show a mock up of your design and discuss your paper options. The choice of paper to use should be based on the purpose of your brochure. Coated paper is among the highest quality of paper and the most commonly used type for printing brochures. The coating comes in gloss and matte finish. A gloss coating provides better color intensity, precise photographic reproduction, and crisp graphics. A perfect choice for a real estate brochure. However, the reflective quality of the gloss paper can make text harder to read also. Then you can choose a matte finish to strike a balance between readability and quality. A flimsy brochure will come off as cheap, so pick a heavy weight paper with good opacity that does not allow any show through. There are special processes or effects to elevate your project and add the extra touch. Ask your printer about foil stamps, die cuts, metallic inks and embossing. Press check your brochure to make the colors as accurate as possible. Make sure your brochures are folded correctly to avoid cracking of the paper at the point of the fold. There are three distinct components that have been discussed. If your budget allows you hire a professional copywriter, photographer and a graphic designer. Working with these creative professionals will get you superb results. With good planning and research your brochure will communicate your messages and services. A combination of a good concept, photography and design will execute the message beautifully and precisely. Working with a competent printer will eliminate any errors and problems during production. The outcome will be a powerful marketing piece in the form of a real estate brochure. Pinterest is the newest kid on the social networking kid, and everyone has lauded the digital pinboard for its quick growth. Pinterest’s focus on images makes it an easy sell for real estate professionals like yourself, for whom quality images already help to make a sale. Once you sign up with Pinterest, log in. Add a profile picture and fill out your profile. You’re on your way to your first board. Although Pinterest offers default boards, you can delete these and create pinboards that are more relevant to real estate. Pinterest lets you create multiple boards, and these boards should revolve around a theme. Because Pinterest lets others follow an user or a single board, others can choose whether they want to see all of your content or a specific board that relates to their interests. The images you post link back to their original locations, so Pinterest is an easy way to promote your website, blog or listings. 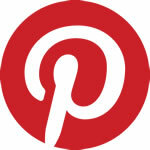 Pinterest is also a way that you can engage with consumers because everyone can comment on your pins. Start a conversation and show other users that you’re a real person, too. Social networking is about socializing, and you want to show your personable side. Users want to know that you’re not a robot. Consider the boards that will attract current homeowners, who could later become sellers or buyers. Boards in this category include renovations, crafts, DIY, landscaping and more. If your blog already contains articles of this sort, then you can link back to your own site from Pinterest. Alternatively, you might make a board that sells your area. Show things to do, places to see, restaurants that serve a great meal and awesome local causes. All of these pins show that your city is worth living in. A striking photo on Pinterest can be what sparks the idea in someone who didn’t know she wanted to move. While you can certainly re-pin photos from others, you should make sure to provide plenty of original content from your website. However, don’t focus only on self promotion. Add decorating images or DIY projects from others and users will see your boards as an authority or resource. You don’t want your pins to appear spammy. Don’t forget about videos. If you do video walkthroughs or have a vlog, you can post those videos to Pinterest, too. Many users forget about this function. Use helpful keywords in descriptions. Many Pinterest users forget about this, but you want to let others find you and to describe the image. After all, if you pin your latest starter home but give no information about it, a viewer might not realize this house is where he wants to live. Pinterest provide a bookmarklet that you can drag to your browser’s bookmarks bar and quickly pin any image from any page online. This button saves a ton of time and effort. You can also add a Pinterest button to your own website to encourage sharing. Pinners want to see beautiful and inspiring photos, so poor-quality pictures will see little buzz. Take a photography class to improve your listings and pins. Consider posting photos of happy buyers in their new homes. Upload photos that help homeowners envision their perfect home. As long as you’re trying to leverage social media to your benefit you have to remain consistent. Log in daily and post at different times of the day, but don’t post so frequently as to inundate your followers. Have you joined Pinterest, yet? If not, there’s no better time. Ben is Internet Marketing consultant and Social Media Strategist for more than half of a decade He helped many companies to establish their online presence and improve their rankings. Currently he is a content contributor for arvernebythesea.com, well know real estate NYC firm, helping them to improve their rankings through his social media marketing strategy. In this article Ben shared with us some of his most useful tips of how to use Pinterest, one of the largest social media networks, for business purpose.